For meeting the demands and needs of our clients, we trade, supply and export a wide range of Stainless Steel Kitchen Sinks. 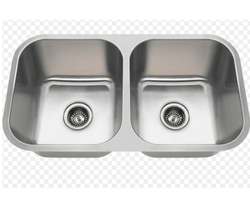 Our range includes Double Bowl Sinks, Single Bowl Single Drain Steel Sinks, Single Bowl with Mini Bowl Sinks, Single Bowl Double Drain Steel Sinks, Double Drain Stainless Steel Sinks and Double Bowl Mini Bowl Sinks. All our products are sourced from the reliable vendors of the market, who make these products using superior raw material and latest technology. Apart from this, our products are known for their seamless finish, corrosion & abrasion resistance, sturdy construction and long lasting shine. Backed by our efficient workforce, we are able to design and develop a wide range of Single Bowl Sink. All our products are available in different designs, sizes and patterns at most competitive prices to meet the demands and needs of customers. Furthermore, these products are appreciated by the clients for their corrosion & abrasion resistance, sturdy construction and low maintenance. With a focus on the ever-evolving needs of our patrons, we have come up with a wide range of uniquely designed Single Bowl Single Drain Sinks. With the help of our capacious warehouse, we are able to store a bulk amount of Single Bowl Sink. Procured from the trusted & authorized vendors of the market, all our products are designed in compliance with international quality norms & standards. Furthermore, we check all the products on various parameters to assure zero defect. We are engaged in providing our customers with Single Bowl Sink that are widely demanded by corporate houses, commercial complexes, homes and offices. All our products are sourced from the most trusted and certified vendors of the market, who have years of experience in this domain. We also pack all the products using premium packaging material to assure safety. We are one of the preeminent organizations, involved in providing our clients with Single Bowl Sink. These are sourced from the most trusted and certified vendors of the market, who make all the products using superior raw material and latest technology. In addition to this, we have a team of packaging experts, which use quality material to pack all the products. We offer a wide range of Single Bowl Kitchen Sinks that are made from high grade stainless steel in standard and customized options. These single bowl sinks are widely appreciated for their choice in design, shapes and sizes. Our single bowl sinks are durable and easy to clean. Maintaining our sync with the latest market developments and trends, we have emerged as one of the leading exporter of Double Bowl Sink that are one of the most demanded kitchen products in the market. Designed and manufactured by our professionals with utmost precision and high grade products, these offers a perfect drainage solutions to our customers. We are the specialized exporter of Single Bowl With Mini Bowl Sinks that are available in varied sizes and shapes. These hold adequate drainage and are made up of premium quality stainless steel with anti-rusting property. These can be manufactured according to the demand of our clients. These are available at market leading rates. 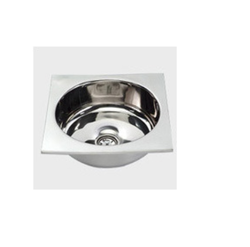 We export Double Bowl Mini Bowl Sinks of superior quality. The mini bowl attached to the double bowl serves varied purposes like holding vegetables and other edible items for adequate drainage. These are available in varied sizes and designs as per our clients' specifications. 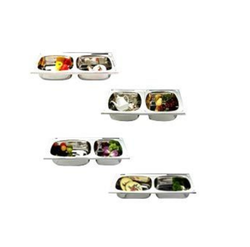 our range is fabricated using food grade stainless steel and advent tools & technology. Double Bowl Mini Bowl Wasbakke. 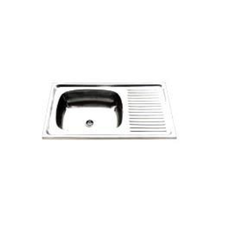 We export superior quality Double Bowl Single Drain Sinks that are high in demand. These are made up of premium quality stainless steel material with highly functional choke stopper stainer to ensure perfect drainage. These can be made available as per our clients' requirement. These are available at market leading prices. We offer wide range of Single Bowl Kitchen Sinks which are available in different variety of patterns. It is widely used in both residential as well as commercial purposes. It is manufactured using high quality raw material. We are instrumental in offering our clients with Double Bowl Sinks that are widely used for the purpose like cleaning. 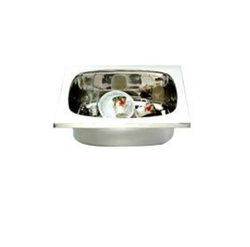 With enriched market experience, we have been able to offer a wide spectrum of Double Bowl Kitchen Sink. We are successfully meeting the requirements of our clients by offering the best quality range of Single Bowl Single Drain Sinks. 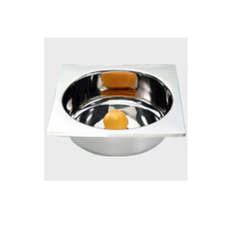 With enriched market experience, we have been able to offer a wide spectrum of Single Bowl with Mini Bowl Sink. Owing to our years of experience and in-depth knowledge in this domain, we are able to offer our clients with Single Bowl Single Drain Sinks. We procure all the products from the most trusted vendors of the market, who design these as per latest trends and market demands. In addition to this, we thoroughly check all the products on certain parameters to assure quality. 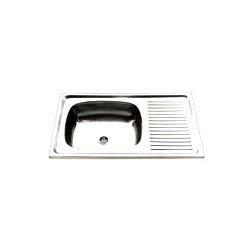 These specially designed Single Bowl Single Drain Sinks are made up of premium quality stainless steel material. These include anti-scratch surface to protect the sink from adverse effect. Moreover, these are well polished meant for the glossy and satin finished look. We deliver these hugely preferred sinks in varied dimensions. These are highly appreciated by our valuable clients. With years of experience in this domain, we are offering a wide range of Single Round Bowl Kitchen Sink. 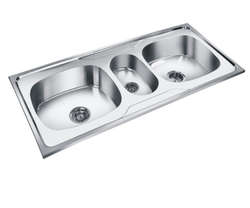 This sink is ideally used for cleaning & washing vegetables and utensils in domestic and commercial kitchens. The stainless steel used in manufacturing this product is procured from the reliable vendors and guaranteed of its quality. Clients can avail sink and mould related to kitchenware product from us in various sizes and dimensions as per their different requirements. 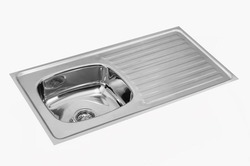 To meet the diverse requirements of clients, we are offering a qualitative array of Single Bowl Double Drain Sinks, which is precisely manufactured using the finest grade raw material and advanced techniques in compliance with set industry standards under the guidance of skilled professionals. Furthermore, we also offer the product in numerous specifications and dimensions in order to meet various requirements of clients. 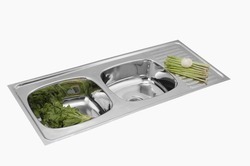 We are engaged in offering a quality approved range of Double Bowl Double Drain Kitchen Sink. We bring forth for our clients a wide range of Single Round Bowl Sink that are available in various sizes and designs at market leading prices. All these sinks are procured from the most reliable vendors of the market, who make these using high-grade raw material. Moreover, we stringently check all the products on various parameters to ensure zero defect. With our rich industry experience, we export single bowl kitchen sinks. 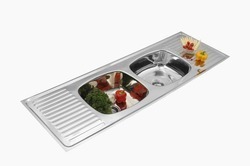 The offered range of Stainless Steel Single Bowl Kitchen Sink are known to be durable and easy to clean. Apart from that, these also have a fine finish and lustrous look. These Single Bowl Kitchen Sinks are offered in a variety of shapes and designs to suit the diverse needs of our esteemed clients. Further, the customization facility has also helped us in creating a niche for ourselves in this ever competitive market. Looking for Stainless Steel Kitchen Sinks ?